A mobile home for sale in AZ can be the prime location for a 4th of July bash. 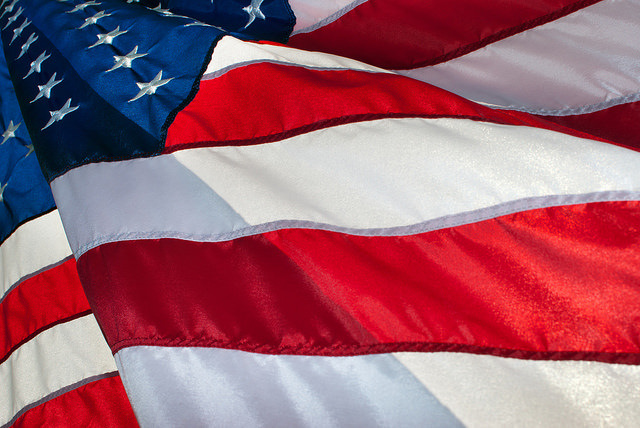 With proper décor, food, drink, and patriotic spirit, you and your friends in the Mesa RV parks can celebrate our nation’s independence the right way! For a good 4th of July party, proper décor is imperative. There is no shortage of ways to decorate your outdoor and indoor spaces with red white and blue. A patriotic wreath on the front door of a mobile home for sale in AZ is an easy way to add a festive accent to your home’s exterior. Illuminate your home’s exterior with red white and blue Christmas lights. If you want to put your green thumb to good use, plant an array of daisies, roses, and blue snapdragons. For a trendy decoration that can be a table accessory or a candle holder, decorate some mason jars with red white and blue paint. Mason jars can hold silverware, flowers, or even a cluster of patriotic pinwheels. The fastest way to your guests’ hearts is through their stomachs, so festive treats are a must! Make fruit skewers with strawberries, bananas, and blueberries for a sweet red, white and blue treat. If you’re feeling extra creative, arrange the skewers side-by-side so they form an American flag. Decorate cupcakes with white frosting (or whipped cream) and star-shaped sprinkles for an easy dessert. You can also use a cake decorating kit to pipe frosting stars. Stock up on any and all red, white and blue snack food. Red licorice, white chocolate pretzels, blue M&Ms— let your imagination run wild! For a festive layered drink, pour cranberry juice, blue Gatorade sports drink, and Sprite or 7 UP into a tall glass. The density of the sugar content in each drink will keep the colorful striped shape. Use fruit to spruce up any sweet drink! Garnish any clear soda with raspberries, blueberries, or maraschino cherries for and easy patriotic touch. If you want to go the extra mile, you can cut chunks of watermelon into a star shape for extra pizazz. Invest in some red and white straws or American flag drink umbrellas. Drinks can be just as important a part of decorating as the decorations themselves!